I would love to tell you that I feel like a superhero mom every day, but the fact is, I am just a real mom trying to get through the ever changing and challenging seasons of parenthood. Between balancing my new career, the kid’s activities, school and life in general it seems as though this mom brain of mine is mush at times. Especially when it comes to dinner and planning fun family time! We always eat dinner at our kitchen table with the kids, we consider it family time. And as the kids are getting older it is the perfect time of the day to ask how their day was. Over the years, I have found that the kids really enjoy when I make dinner fun or different. Its the little things that make them happy. So, while this mom brain of mine is on overload and I am trying to figure out how to make dinner fun (and easy, let’s be honest!) I decided to throw together a Family Pizza Night party. Now, remember I said easy? Seriously, this is so easy. I simply pick up some fun napkins and plates, makes doing dishes super easy too, and our favorite frozen pizza from Red Baron. This pizza night was complete with a special dessert treat that again was so easy but really made the kids enjoy our family pizza night. Friends, I call this Family Pizza Night a real mom win!! Red Baron gets it – we all need a little mom help through out the ever changing seasons of parenting so why not enter the Baroness Patches Sweepstakes and get on the chance to win $4,295 in Walmart E-cards and Red Baron pizza gift packs? Enter today in the sweepstakes entry form above! Good luck!! 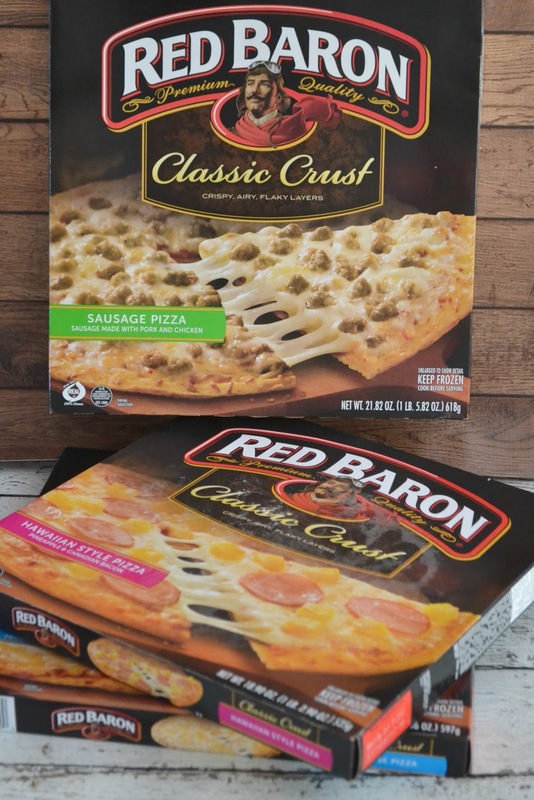 We love Red Baron frozen pizzas and usually have a few in our freezer for those evenings that dinner plans just don’t get made. Again, real moms, we are imperfect but make it work. We all have different favorites when it comes to pizza toppings but we always grab the Red Baron® Classic Crust pizzas. They do not taste like frozen pizza at all, they taste homemade with out me having to make them! 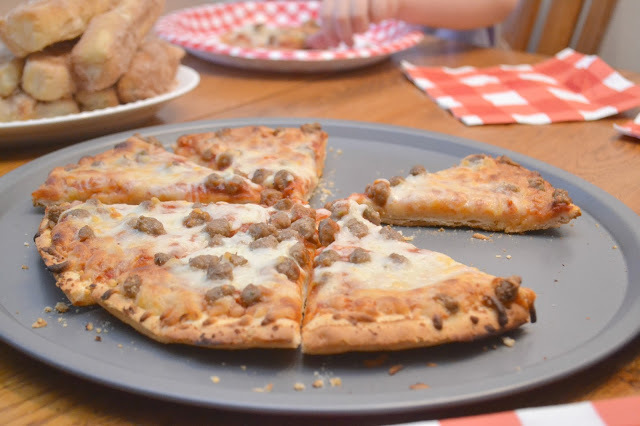 When I surprised the kids with a Family Pizza Night after a long week of everyday swimming lessons for the kids, back to school prep and lots of work for me, they were so happy. Seeing them excited for their paper plates, fun napkins, delicious pizza and yummy dessert treat made me smile. Moming it can hard but finding the great moments like this that build memories without a ton of work, planning and money is the best! 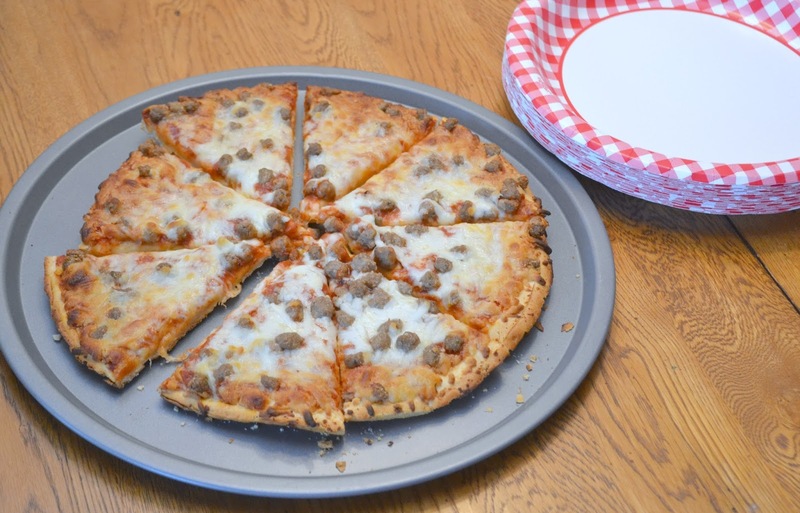 Now, let me share the perfect pizza night dessert! 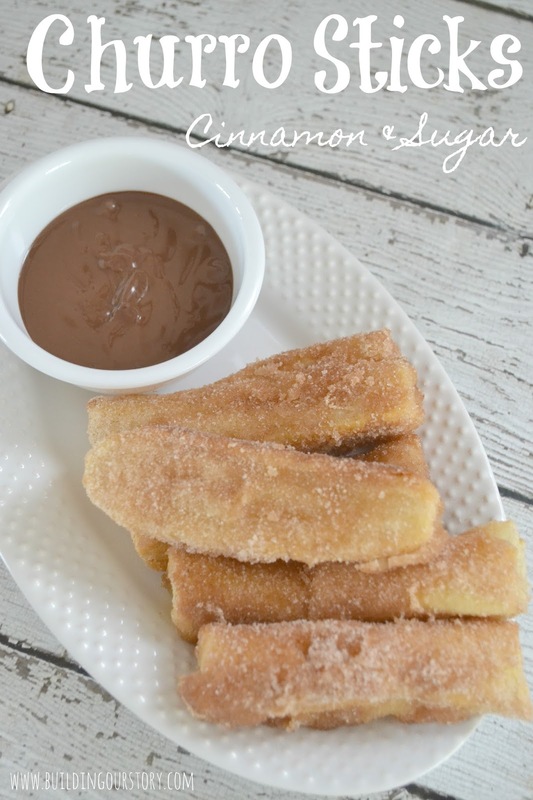 These yummy churro sticks are so easy to make and delicious! They remind me of our trip to Disney, churros are a must, of course! 1. 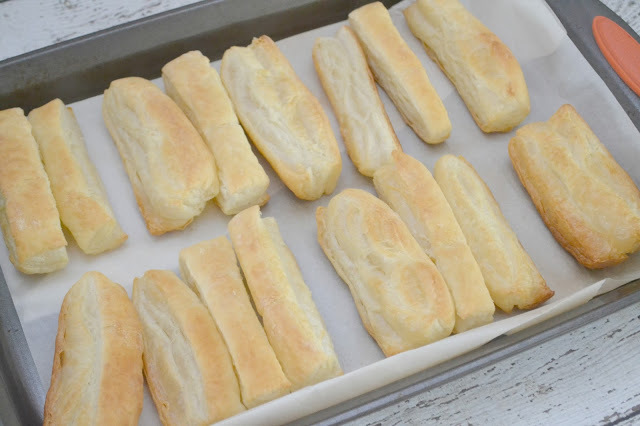 Preheat oven to 450 degrees and prepare a baking pan with parchment paper. 2. 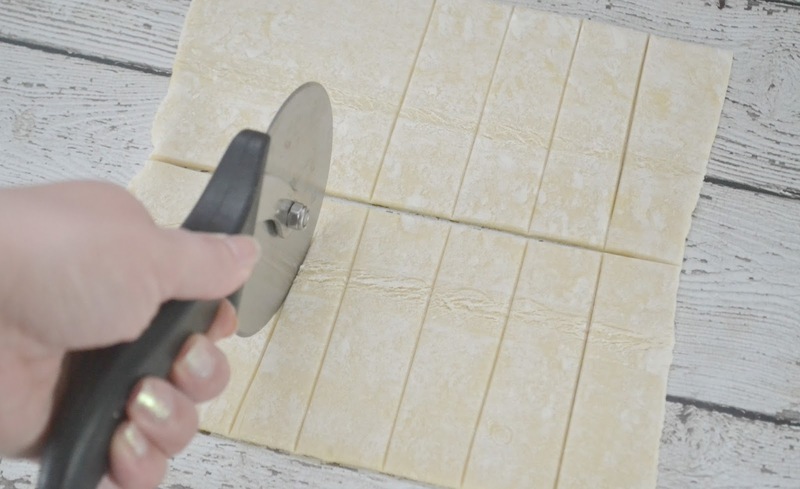 Lay puff pastry out flat and cut into strips using a pizza cutter. 3. 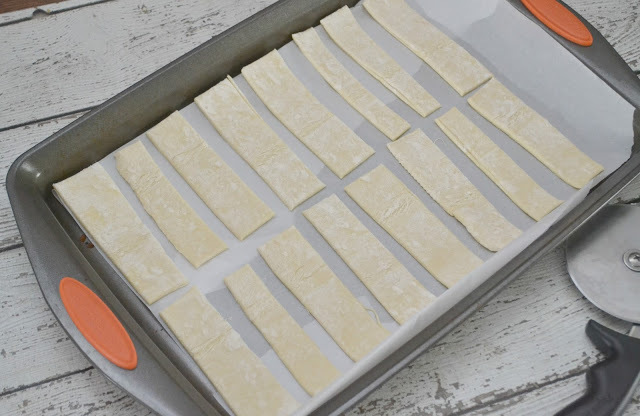 Lay strips of puff pastry out on prepared baking pan. 5. 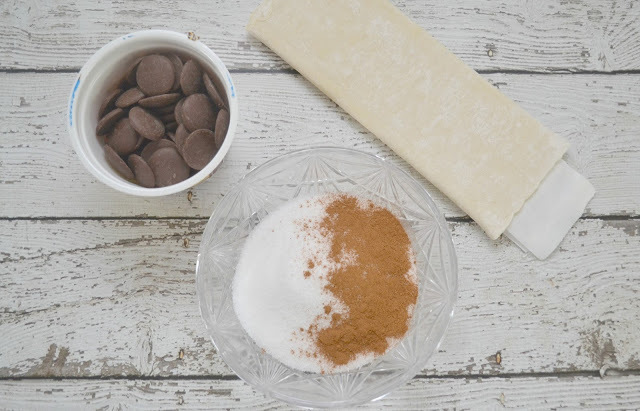 While baking, melt the butter and mix together the cinnamon and sugar in a bowl. 6. Remove churros from the oven. 7. 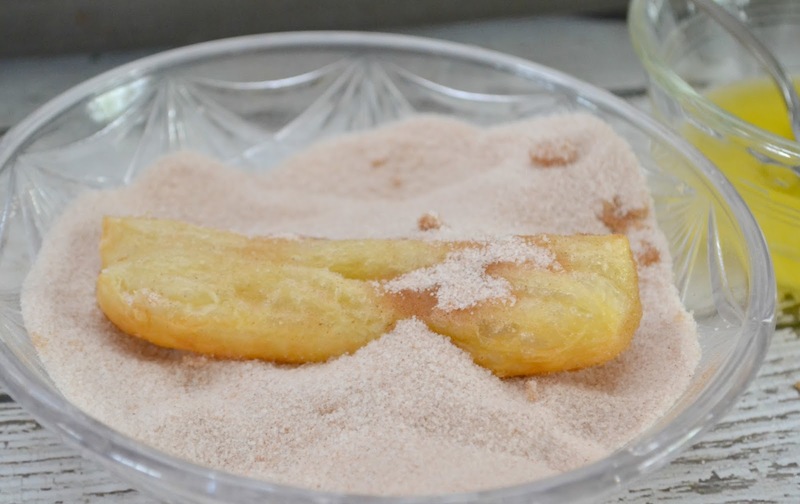 Dip each churro into melted butter and dip into the bowl of cinnamon and sugar and cover the churro completely. 8. Eat when warm and prepare the melting chocolate to dip the churro sticks. Enjoy!! 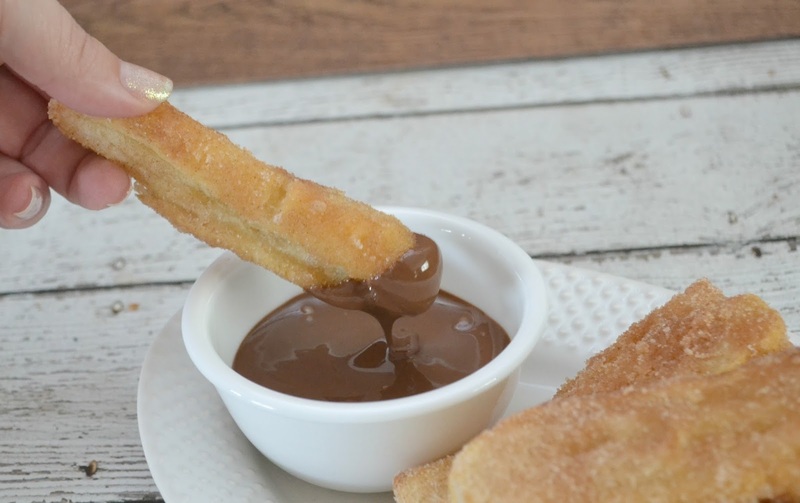 The kids really enjoyed dipping the churro sticks into the chocolate. What a treat!! Yummy!! So here’s the deal. Finding ways to make dinner and life easier is the way I get through this mom life! I have earned a lot of Baroness patches through out these last 7 years of motherhood and I wear those with pride! A real mom takes pride in their patches that might seem silly but help you sleep better at night. My favorite is my “Cool Mom Has A Pizza Party For Dinner” patch and of course my “I survived my son losing his mind over having to wear jeans”! Yes, that is a real one. 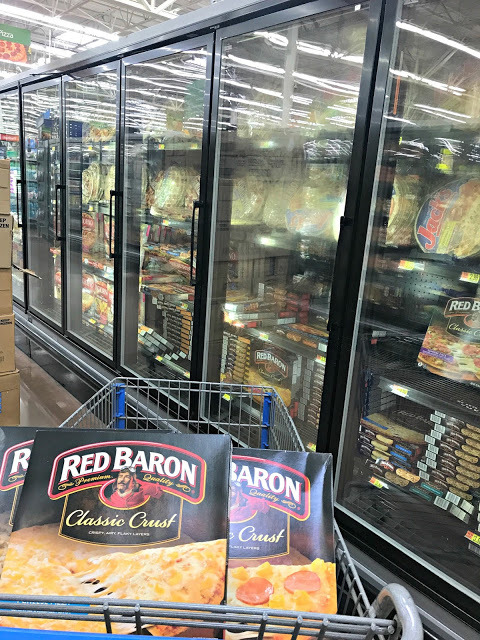 You can find all of these great Red Baron frozen pizzas in the freezer section at Walmart and before you head to the store to stock up, make sure you check out this great Ibotta Offer! Buy 2 Red Baron Pizzas and earn up to $.75!! Woohoo!! So, the question is….What Baroness Patches are you wearing? THanks for the recipe – my kids would love these! I have done good things for the kids hopefully. I think great idea about making dessert and we eat red baron pizza. I love Churros but never thought of making my own. This looks easy though! I love the Churros recipe and that you are doing this real mom style!!! Also love Red Barron as it does really taste best. Lovin' the churro sticks. My husband would adore these dipped in dulce de leche. We have pizza night Fridays too! My kids get excited about it when they watch the short episode of Jamie Oliver and his kids making pizza on YouTube. It's hilarious, you've gotta check it out. 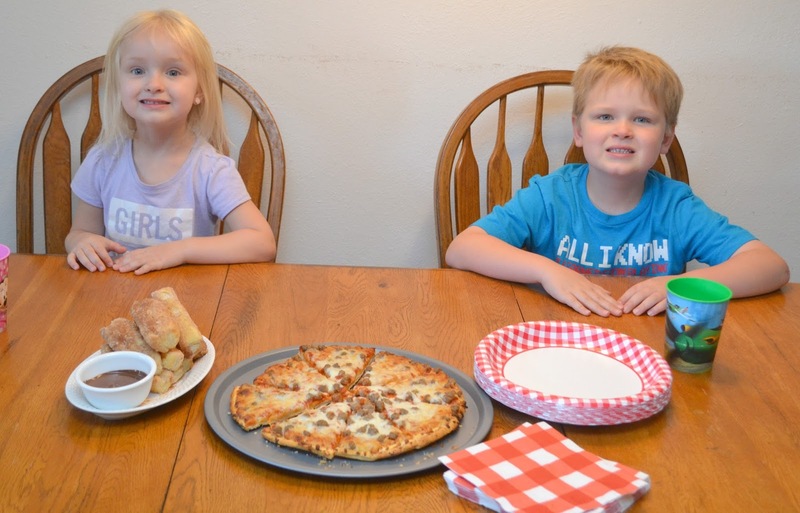 My family enjoy Red Barron Pizza and Churro sticks!I love how you and the family still sit at the dinner table, many families don't even do that anymore. Pizza recipe is simple. I and my children will do at the end of this week. You share the many ways do more cakes. the sandwiches or pastries. Thats such a quick and easy churro recipe! I used to love theme nights when I was little. My family and I were big on game nights! I used to always want to play monopoly because it was long and I got to stay up later. Lol! 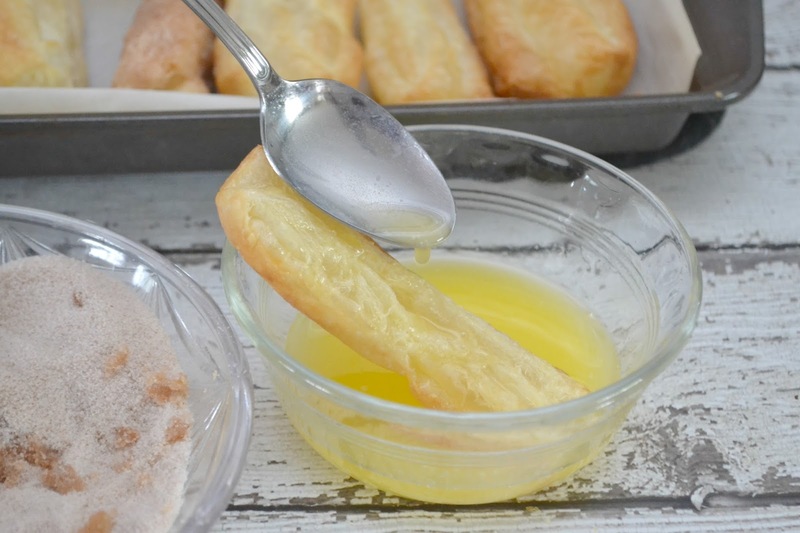 What fun and easy churros! I admit I add a side of applesauce and call it dinner. Sure I'm using a Red Baron pizza but sometimes spending the time together is more important than spending it cooking from scratch.